When it comes to archery, is more speed the best option? When I started bow hunting I had the newest technology and my bow spit out arrows at a little over 200 fps, which would seem completely inadequate by today’s standards. Today, archers get caught up in the marketing of speed with the newest compound bows claiming to shoot over 360 fps. There are many considerations when looking at speed versus stability and effective range for hunting. I fondly recall taking my son on his first bow hunt and watching him stalk a mule deer feeding on the edge of an aspen grove. My young hunter, stalking to within 20 yards of the unsuspecting deer, drew his compound bow and placed an arrow in his quarry’s vitals. The youth-model compound he used was set at 42-pound draw weight and shot an arrow less than 250 fps. When his arrow was released it passed clean through the deer. If you were to ask most archers today what the minimum speed is for hunting effectively they’d likely throw out a number around 230 to 285 fps. The deer my son shot died a short distance away from where it had been feeding and is a good reminder that the speed of your bow isn’t everything. The biggest advantage to a fast bow is that it will produce flatter shooting arrows. Anyone that has been involved in archery for any length of time can tell you that gravity wreaks havoc on arrows and the arching trajectory means archers must accurately judge distance in order to put their arrow on target. A faster shooting bow, producing a flatter shooting arrow, simply means there is more forgiveness in judging distance, as your arrow will have to travel farther before gravity has the same impact. I recently set up a new BowTech Insanity and it is the fastest bow I’ve ever owned for hunting with an IBO rating of 355 fps. The five pins in my sight are stacked so closely together that I could get away with shooting three pins to cover 50 meters, as my 20-yard pin holds true to 30 yards. My first compound bow barely had enough room in the sight housing for five pins, as they were spread out so far, which forced me to judge distance to the exact yard to put my arrow on target. A flat shooting arrow extends the range you can shoot accurately and maintain enough energy to kill game. Energy is the key to arrow penetration and is provided by speed and arrow weight. There is always a downside and when maximizing speed, with most modern bows, stability becomes an issue. The fastest shooting bows are jumpy and have short brace heights, making them unforgiving when it comes to shooter form and arrow release. If you torque your bow even a little you’ll be off target by a lot. Punch your release and your arrow will fly in the direction that you’re pulling the trigger. The biggest downfall with speed is tuning broadheads for hunting. Stabilizing an arrow traveling over 300 fps can be frustrating and challenging. 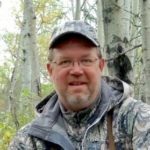 The good news is the archery industry continues to overcome hurdles like tuning and stability with new fletchings and mechanical broadheads that are on parallel technologies with bows. The real question may be economics and whether or not the price you pay for the fastest bow on the market is really worth it. Technologies have improved by leaps and bounds in recent history and the new limbs and cams play a critical role in terms of storing and releasing more energy than in the past. The materials and construction of limbs are what make them so efficient. They are smaller and shorter than in the past, yet perform way beyond the technologies of just a decade ago by maintaining more energy from the start of your draw right through the release of your arrow. A balance of technologies and features is needed to shoot game at an ethical distance. Your arrow may have enough kinetic energy to kill game at greater distances but it is the problems that can arise at the last second with wind or moving quarry could spell disaster, no matter how fast your arrow travels. A fast bow may help you put a tag on your next buck but all the hype about speed can’t replace proper shot placement, sharp broadheads and practice. Practice is the key no matter what bow you shoot and fine-tuning your skills to your equipment will ensure success in the field. If you are considering purchasing a speed bow make sure you go to an archery lane and shoot the bow before spending your money. You will know immediately if the bow is comfortable and whether or not you will be consistent in the field. If you’re not comfortable and consistent, look for a bow with a greater brace height.